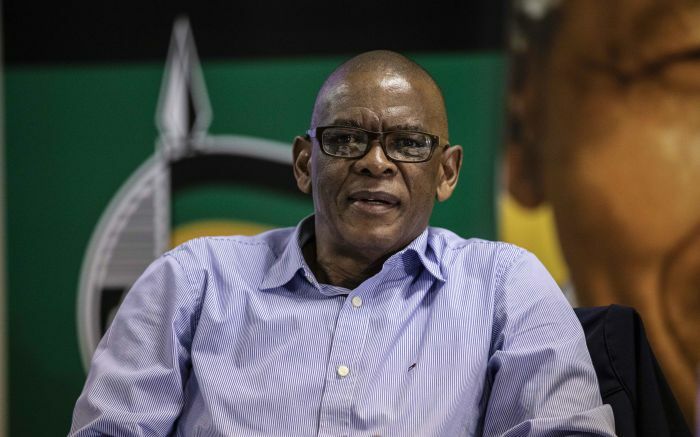 A small group of people have disrupted the launch of Pieter-Louis Myburgh's book, Gangster State: Unravelling Ace Magashule's Web of Capture at Exclusive Books in Sandton City on Tuesday evening. The group chanted and ripped apart copies of the book, throwing pages around. The Money Show’s Bruce Whitfield spoke to author Pieter-Louis Myburgh as the crowd continued its rampage. — Pieter-Louis Myburgh, author - "Gangster State: Unravelling Ace Magashule's web of capture"